Heading back to the mainland for Reading Break? 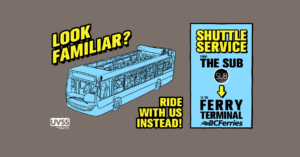 On February 15th, beat the rush and take a shuttle straight from UVic to the Swartz Bay ferry terminal! 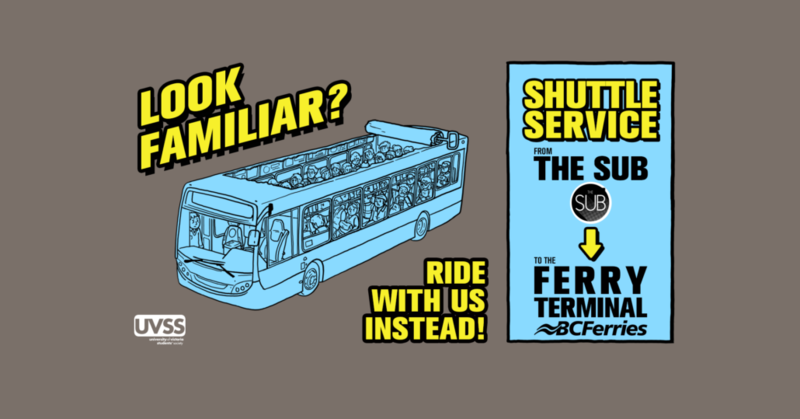 Shuttle leaves at 1:45pm to catch the 3pm ferry. Tickets only $6!